Stuffed with crab meat and rubbed with roasted garlic and pepper for supper tonight. It turned out pretty dang good....I have done deer tenderloin with crab before and it is really good....but this was the first time with the pork. 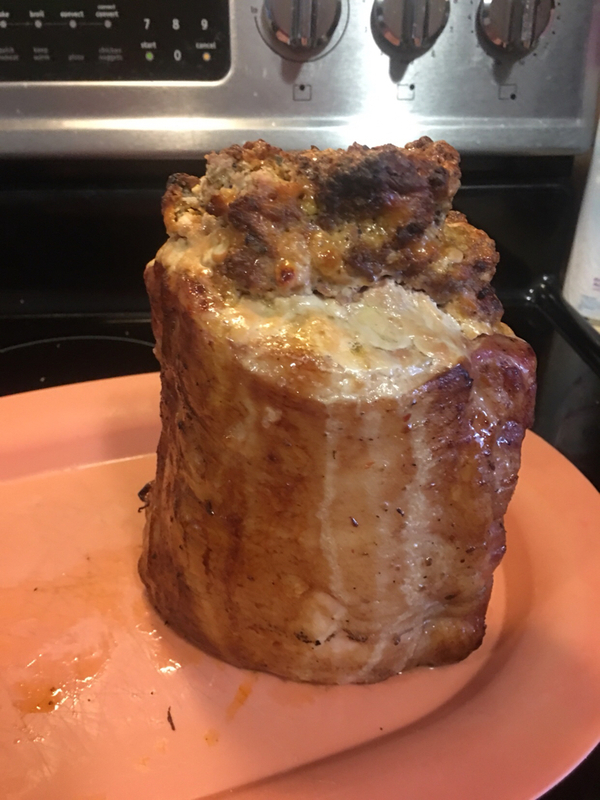 I just stuffed a loin with hot pork sausage, cream, and cheddar cheese. 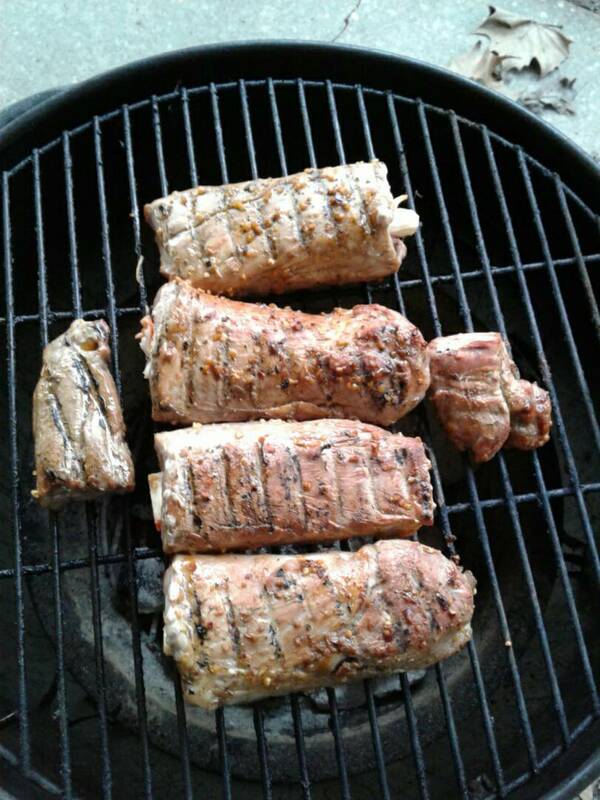 chadbragg wrote: I just stuffed a loin with hot pork sausage, cream, and cheddar cheese. That's gonna be some fine eatin right there!